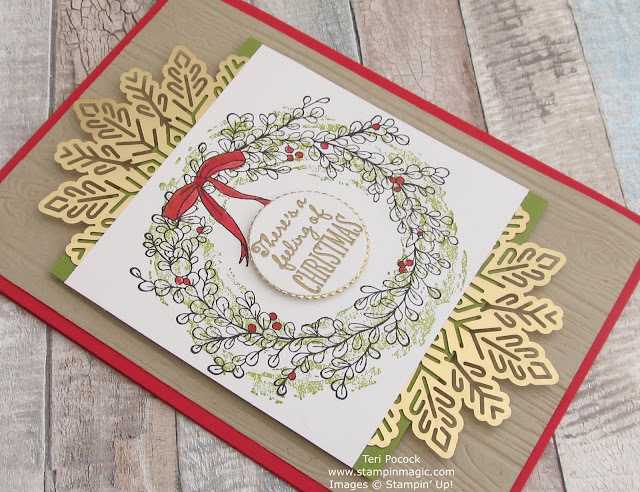 I used both Wreath images for this first card. The background one was stamped in Old Olive and then I used Basic Black to stamp the detailed one on top. I coloured the bow and berries using an Aqua Painter and the Real Red ink pad. 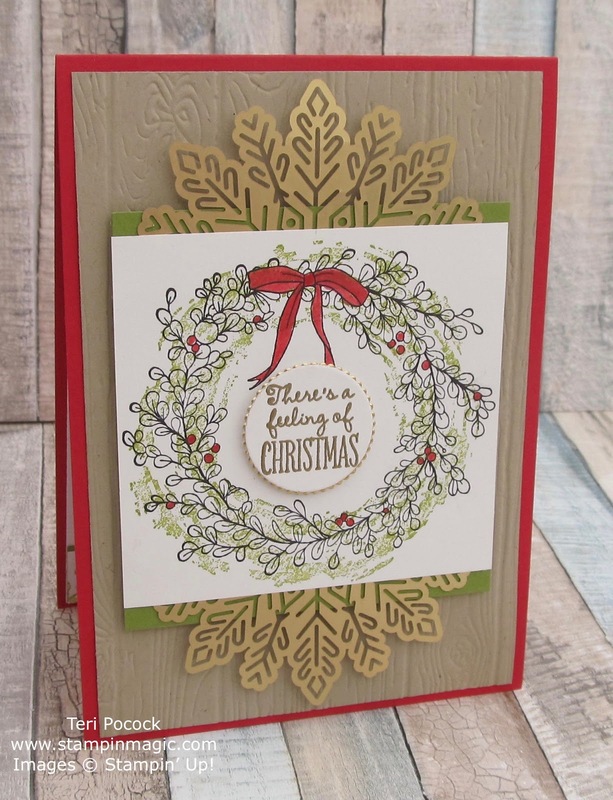 The Gold Foil Snowflake was cut in half and added to the top and bottom of the image panel. I heat embossed the sentiment using Gold Powder and backed it with a little of our Gold Foil cut using the Layering Circle Framelits.